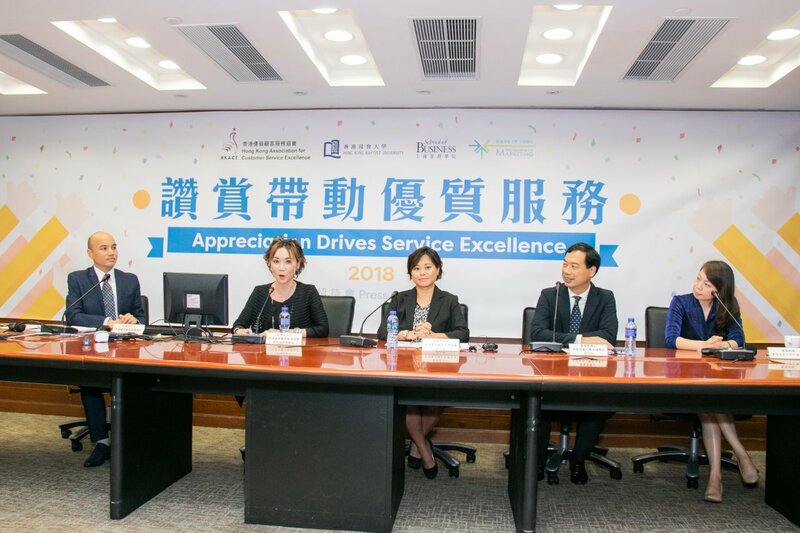 A survey conducted by Hong Kong Association of Customer Service Excellence (HKACE) and the Hong Kong Baptist University (HKBU) shows that nearly 70% of the interviewed service industry practitioners agree that customers showing appreciation helps them improve work performance, indicating that service quality is related to customer’s positive feedbacks. However, only 40% of the interviewed customers showed their gratitude towards service professionals in the past year. 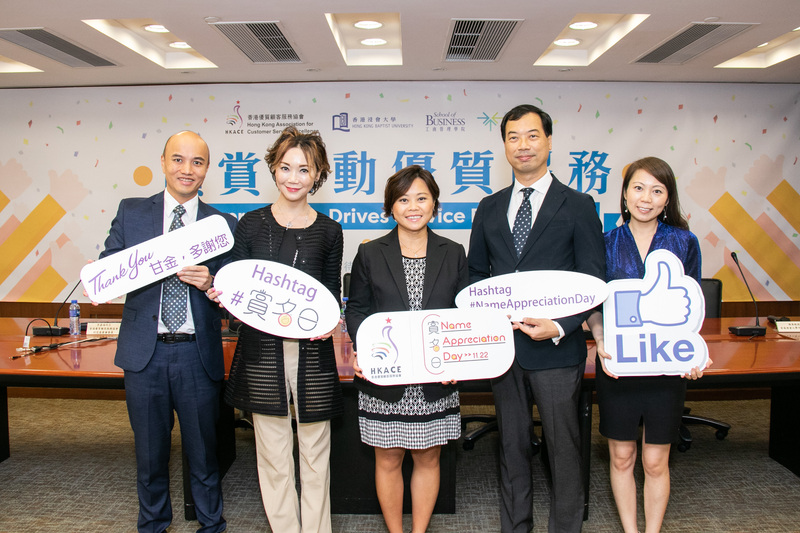 The Association recognising the effort of service professionals is marking November 22 as “Name Appreciation Day” to encourage citizens to actively cherish the service professionals on the day to help promote the quality of Hong Kong’s service sector. 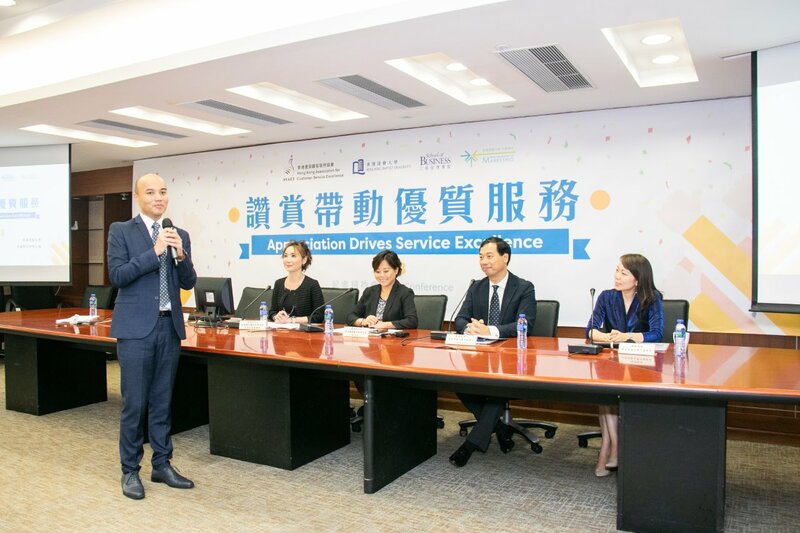 In September, the Association and HKBU’s Department of Marketing of School of Business - jointly conducted a survey on the subject - “Appreciation Drives Better Service Performance”. 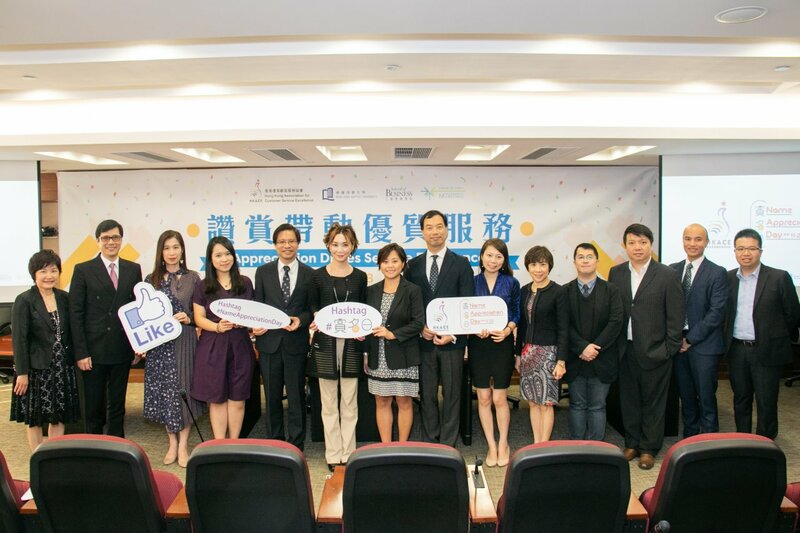 To see the respondents’ knowledge and opinion on the subject, 600 customers and 500 service professionals from Hong Kong were interviewed. According to the findings, only 40% of the customers cherished the service professionals in the past year. Among various service sectors, catering (exceeds 20%), banking and insurance (10%), and aviation (10%) received more positive feedbacks. Other sectors, such as hospitality, retail and wholesale, each accounts for less than 9% of the total positive results. Government and public affairs and tourism take up respectively 6% and 7% of the overall customers’ appreciation. Real estate, IT, and telecommunications – each scores less than 5%. The survey shows that nearly 50% of the interviewed customers prefer to verbally praise the service professionals, rather than sending thank you cards or emails. Nearly 70% of the interviewed service professionals point out that customers’ appreciation helps them improve job performance, with verbal praise being the most effective, followed by cards and letters of appreciation. Expressing gratitude by social media or personal communication is the least effective. Ms Eunice Miu, Research Committee Director of HKACE, said, "Hong Kong is the world's leading economy dominated by tertiary industries with the service sector accounting for 90% of the total workforce. The service professionals’ performance is critical to the overall service industry. However, the survey found that 60% of the customers never showed appreciation to them, which is not satisfactory." Ms Miu added, “To promote the spirit of quality service and the culture of service appreciation, the Association specially marks November 22 as the ‘Name Appreciation Day" to encourage the public to commend the service professionals’ outstanding performance on the day, visualising the idea of “To name, to smile and to encourage” Taking photo with the praised service staffs and posting on social media with Hashtag #NameAppreciationDay is also a great way to share and encourage more people to take action. For more details of the survey report, please refer to this page.